I've always wanted to snag one of these......... 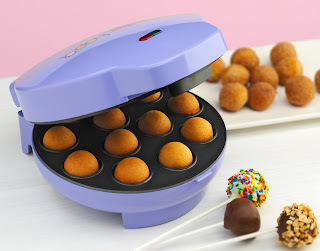 Right now, you can hurry over to Kohl's and pick up the BabyCakes 12-Count Cake Poppers Maker for ONLY $7.19. From what I hear, these are SUPER easy to use and clean up! The kids would have a BLAST with this!